Cornelius C. “Neal” Dibble, 82, of Williamsport, passed away, Wednesday, Sept. 12, 2018, at the Gatehouse. 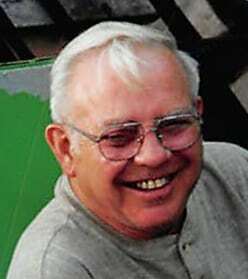 Neal was born in Ogdensburg on Feb. 21, 1936, a son of Cornelius Ernest and Meta E. (Clark) Dibble. He attended Williamsport High School and was a registered master plumber and owner of Neal Dibble Plumbing for over 30 years. Neal was an outdoorsman and enjoyed camping, fishing and hunting. He was a member of the former Ascension Church, now St. Joseph the Worker Parish, member of the Sand Run Hunting Club, the Williamsport Lions Club and the Sons and Daughters of Italy, Lodge 138 and a social member of VFW 7863 in Duboistown. He and his wife, the former, Priscilla J. Casale, celebrated their 63rd wedding anniversary on June 11, 2018. In addition, he is survived by their daughter, Debra D. Neece, of Williamsport; son, Pat (Deb) Dibble, of Cogan Station; and grandchildren, Rebecca and Brian. In addition to his parents, two brothers and four sisters preceded him in death. The family will receive friends in the church’s portico from 9 to 10 a.m. Monday. A Mass of Christian Burial will be celebrated at 10:15 a.m. Monday, Sept. 17, at St. Joseph the Worker Parish, 702 W. Fourth St., Williamsport with his pastor, Rev. Brian Van Fossen officiating, followed by burial at Wildwood Cemetery. To share a fond memory or sign a register book, please visit, www.crousefuneralhome.com.